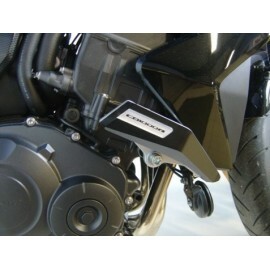 R&G license plate holder for CB1000R Neo Sports Cafe (2018 and up). Black powder-coated stainless steel design, ready to install with plate lighting included (no reflector). Mounting on the original mounting points with possible retention of the original indicators. 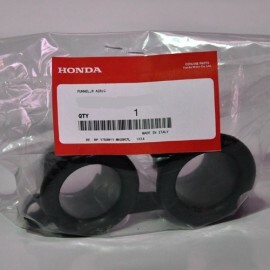 Honda clutch case cover for CB1000R. 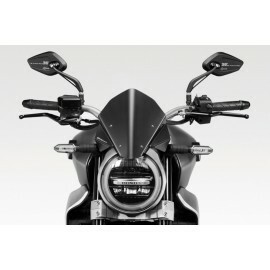 Black aluminum DPM windscreen for CB1000R Neo Sports Cafe. Laser cut piece for an original and really successful look. Quick installation without modification of the bike. 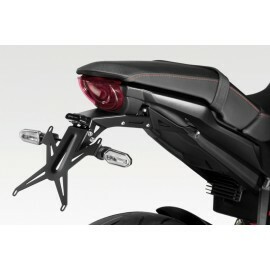 Adjustable and folding anodized levers for CB1000R. 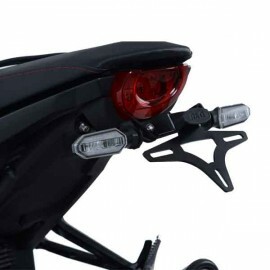 DPM plate holder for CB1000R 2018 Neo Sports Café. Reposition the license plate in the "usual" location. LED plate light and OEM turn signal bracket are included. 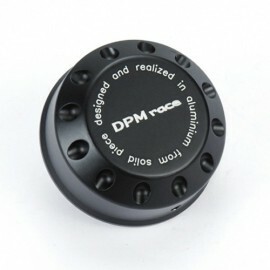 Mounting without modification of the bike with the hardware in the pack. Top Block crash pads. 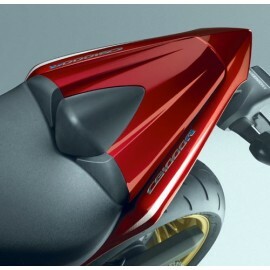 The absolute reference in the field of protective pads for your Honda CB1000R. Topblock handlebar caps CB1000R engraved. 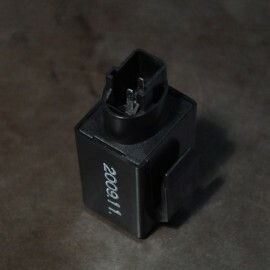 "Plug & Play" relay for LED indicators. 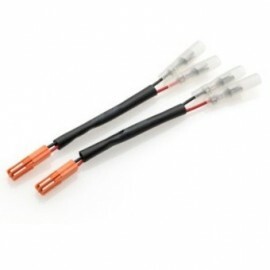 Indicators connexion cables for Honda CB1000R. 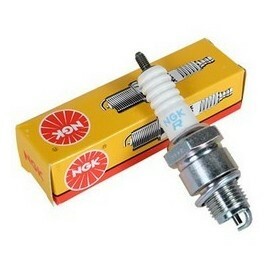 Allows the installation of indicators without cutting the original ones, convenient to be able to put the original bike if needed. Kit to install two lights. 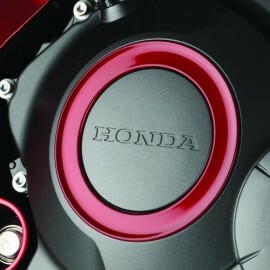 Honda seat cover painted with the color of the bike. Choose it. 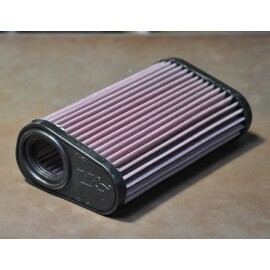 Welcome to CB1000R Shop ! 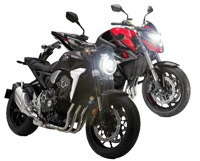 The first online shop dedicated to the big Honda roadster in its old version (2008-2017) and its redesign "Neo Sports Café" (from 2018). 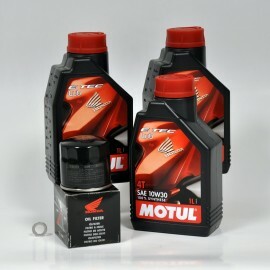 Here you'll find everything you need to maintain and equip your CB1000R. Otherwise, do not hesitate to contact us for any further information or so that we can add a reference from our best suppliers. We deliver our products all over the world with the best service providers. Our site has been at your service online for more than 6 years with over 1500 satisfied customers and an undisputed reputation. Online payment with credit card or Paypal is simple and secure. Our support team always answer quickly when needed.